Cosmetic dentistry in Tucson offers a solution for countless types of dental issues. If you have gaps or chips in your teeth or would like to brighten your smile, veneers might be the right choice for you. This treatment can also last for years when properly maintained. Here is an overview of when porcelain veneers are a good choice. Porcelain veneers tend to be a popular choice for those who have damaged their teeth in some way. If you have suffered a fall or a trauma and ended up with one or more broken teeth, your dentist might recommend veneers to rejuvenate them. Other people have natural gaps between their teeth because of the way they initially grew in; veneers can also fill in these gaps and increase your appreciation of your smile. There are a few different types of habits that might discolor your teeth. Drinking coffee or wine regularly may dim your smile, and tobacco products can even turn your teeth yellow. 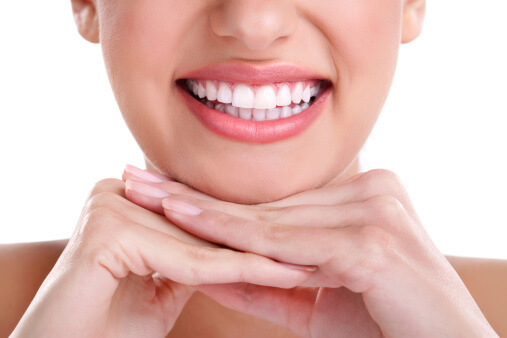 While teeth whitening treatments are both available and popular, they are not necessarily effective for everyone. If your teeth are discolored and have resisted whitening treatments, veneers might be the way to go. 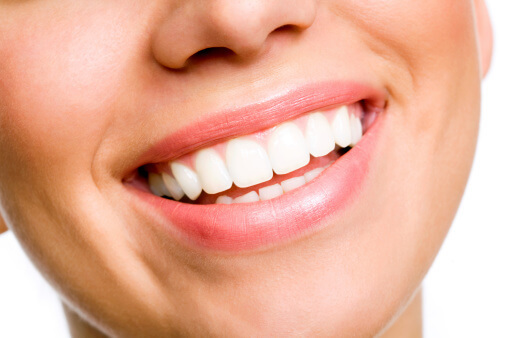 Your dentist can make your veneers nice and white in order to fill out and brighten your smile. As long as you take care of them, porcelain veneers can last for years. If you are looking for a treatment that you can expect to last, veneers could be the best choice for your needs. Are porcelain veneers a good choice for you? Call John Carson, DDS, at (520) 514-7203 to find out. Dr. Carson is a quality dentist in Tucson, and he is happy to provide a range of procedures including root canals and dental crowns. Stop by or visit our website for more information today. 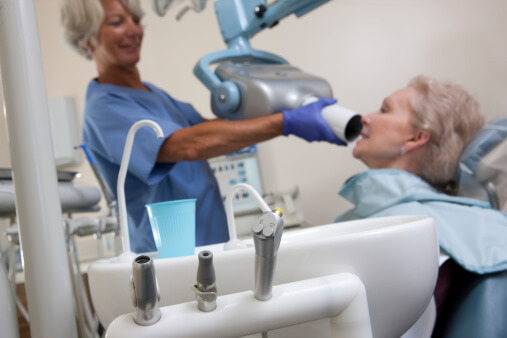 While seeing your dentist in Tucson is critical for complete oral healthcare, you should also be equipped with a few helpful tools that you can use on your own. Manual and electric toothbrushes can both be effective in cleaning your teeth, and floss is a necessary supplement. Read on for help in choosing the right dental tools. While there are all sorts of toothbrushes on the market today, your basic options include manual and electric. A manual toothbrush is a perfectly effective dental tool that can allow you to practice proper dental hygiene. You should hold your manual toothbrush at a 45-degree angle to your teeth and brush in small circles. If you have particularly sensitive teeth or gums, choose a toothbrush with softer bristles for added comfort. An electric toothbrush is not necessarily better than a manual one, but it is a more favorable choice for some individuals since manual brushes require much more effort to have the chance of being as effective as an electric brush. This type of toothbrush will rotate its bristles on its own, so you don’t have to commit to the brushing motion yourself. As is the case with manual toothbrushes, there is an extensive selection of electric toothbrushes available for consumers to purchase. If your child is reluctant to practice proper dental hygiene, consider purchasing an electric toothbrush that makes sounds or plays songs. One of the most important aspects of dental hygiene is often forgotten about. It is important that you floss once each day. Choose floss that will not fray easily to make the most of your flossing routine. John Carson, DDS, is a dentist in Tucson who offers a multitude of cosmetic dentistry services. If you would like to learn more about our practice, please feel free to call us at (520) 514-7203 or visit our website. Stop by today if you live in the area. Gum contouring can help to improve your smile and restore your confidence, but not everyone is a proper candidate. Although the only way to understand your candidacy is to talk to your dentist in Tucson, there are some signs to look out for. Continue reading to see if you might be a good candidate for gum contouring. If you look in the mirror and wish your teeth were shorter or longer, the problem might actually lie within your gums. The way your gums rest will impact the appearance of your teeth, and uneven gums can make certain teeth appear improperly sized. Gum recession can make your teeth look longer, and it can also be a sign of gingivitis. Prescription drugs and genetics also play roles in the appearance of your gums. Fortunately gum contouring can boost the cosmetic appeal of your smile. It is important that you trust your dentist no matter what type of dental procedure you have planned, and gum contouring is no exception. Be sure to ask your dentist any questions that you may have about the procedure itself or his or her background in dentistry during your initial consultation. If anything feels off, consider switching to a different dentist. If you would like to find out if you are a good candidate for gum contouring, call John Carson, DDS, at (520) 514-7203. Our practice offers cosmetic dentistry in Tucson. Feel free to stop in and see us or visit our website for more information about our root canals, teeth whitening, and other cosmetic procedures. Brushing and flossing your teeth every day is crucial to your dental health, but this doesn’t mean that you can stop seeing your dentist in Tucson. Exactly how often you should see your dentist depends on a few factors. Keep reading to find out how often you should visit your dentist. An average person who wants to maintain top oral health should see a dentist every six months. Your dentist can offer you a few important services at these regular checkups. First, you can have your teeth cleaned professionally and thoroughly. Your dentist can remove plaque and tartar, and he or she can offer dental hygiene tips. Your dentist can also screen you for a multitude of oral complications like tooth decay, gum disease, and oral cancer. It is important that you see your dentist regularly to prevent these issues from occurring. Certain individuals might have reasons to visit the dentist more often than twice per year. Unfortunately, many of those who fall into this category may not understand their enhanced risk. People who use tobacco products like cigarettes, cigars, or chewing tobacco should see their dentists more frequently because of the threats that these products pose. Those who are pregnant or diabetic should also seek additional dental checkups. If you notice an ache, pain, or other symptom that does not feel natural see your dentist immediately. These issues could be signs of more severe problems and should be addressed as soon as possible. Is it time for you to visit your dentist in Tucson? Contact John Carson, DDS, or visit our website. From dental crowns to teeth whitening, our practice can satisfy your dental needs. Give us a call at (520) 514-7203 or stop in and meet with us to learn more about our practice. If your dentist in Tucson recommends dental implants as a viable treatment plan for your needs, you might be wondering what that entails. The type of dental implant that will work best depends on the condition being treated. Continue on to find out which dental implant option is best for you. A hard tackle on the field or even a poorly timed step can lead to the loss of a single tooth. If you want to preserve your bone mass and restore full function to your teeth, consider talking to your dentist about a single tooth implant. In this case your dentist will surgically place your dental implant, which will eventually fuse to your jawbone and replace the root of the lost tooth. 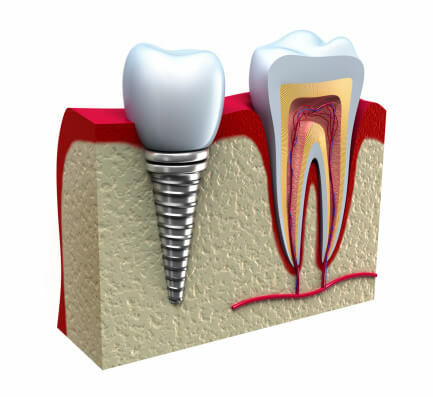 You will then have a dental crown placed on top of the implant, which will look and feel like a natural tooth. In the event that you have lost a few teeth, you might be an ideal candidate for an implant-supported bridge. Unlike traditional bridges that rely on neighboring teeth, this type of treatment will depend on the implant to keep the bridge in place. This means that your jawbone will be preserved to a greater degree. Like single tooth implants, implant-supported bridges can be designed to look and function just like natural teeth. If you are missing an entire row of teeth or more, All-on-Four implants might be your best choice. This treatment uses four or more implants to support the top or bottom row of your teeth. All-on-Four implants can keep your teeth steady and strong, and they can also benefit your jawbone. For more information about your dental implant options, please do not hesitate to call the offices of John Carson, DDS, at (520) 514-7203. Dr. Carson is a Tucson dentist who provides cosmetic dentistry treatments. You can learn much more about our services by visiting our website today. Cosmetic dentistry in Tucson helps individuals take care of their oral health while boosting their appearance. All-on-Four is one particular type of dental implant restoration that can serve as a favorable alternative to dentures and last for a lifetime. Here is an overview of who might be a candidate for All-on-Four dental implants. It can be difficult to chew your food, have a conversation, or feel like you look your best with multiple missing teeth. If you don’t like the idea of having a dental implant replace each individual tooth, consider All-on-Four treatment. With just four implants, your dentist can replace an entire row or arch of teeth. This can help to restore your confidence as well as your ability to go about your daily life with ease. In the past, dentures were the go-to solution for several missing teeth. However, some people tend to have issues with dentures. In the case of All-on-Four implants, you will never have to worry about your teeth slipping out of your mouth. They will always stay anchored, making for a reliable treatment. This type of implant procedure is not susceptible to the same type of sizing issues that many have with dentures either. If you have tried dentures in the past and were unhappy with the results, talk to your dentist about All-on-Four dental implants. Missing teeth – and the resulting treatment – should not be something that you worry about on a daily basis. Fortunately, All-on-Four dental implants will hold up over time as long as you take care of them the way you would take care of natural teeth. If you think you might be a candidate for All-on-Four dental implants, contact John Carson, DDS, or visit our website. Our Tucson cosmetic dentistry practice is happy to help people improve their smiles as well as their oral health. Stop by or call us at (520) 514-7203 for more information.